Are you looking for delicious, healthy and easy-to-prepare vegetarian dishes? You've come to the right place. Welcome to Vasantha's Vegetarian Cooking! Whether you're an experienced cook or novice, you can make flavorful and tasty vegetarian delights. I recommend starting with Creamy Mushrooms for an appetizer, followed by Mulligatawny Soup, Hot Fruit Salad, Stuffed Bell Peppers in Tomato Sauce, Rice Pilaf with Corn and Vegetables, Spicy Black-Eyed Pea Curry, Parathas, and Sweet Tomato Chutney. To top off a delicious meal, serve soothing Almond-Saffron Milk, and Semolina Halva with Golden Raisins for a great dessert. where I demonstrate recipes from the book. "A remarkably skillful job of bringing authentic Indian flavors to the American kitchen." 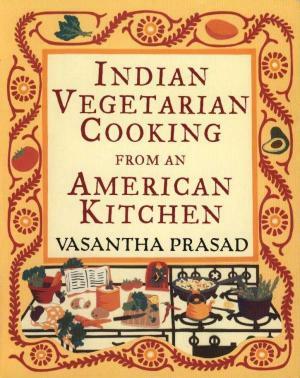 "Vasantha Prasad's book is a must-read for anyone who loves healthy Indian vegetarian fare. Her recipes are wonderful and use all five of the senses!" "For those intimidated by the complexities of Indian cooking, Prasad offers easy-to-prepare vegetarian dishes based on Indian models but with American simplicity and convenience always in mind. Prasad makes a lot of use of corn. Creamy corn on toast accents corn's sweetness with lime juice, and she spices it and adds color with both sweet and hot peppers. Her samosas make a great party appetizer, with traditional potato-and-pea filling perfumed with garam masala, ginger, coriander, and cumin. Prasad's version of nan, Indian flatbread traditionally baked in a clay oven, cooks first in an iron skillet before finishing under the broiler. Although these recipes with their Eastern spices may be unfamiliar, they are much more accessible to American vegetarian kitchens than are most other Indian cookbooks' offerings." This cookbook takes healthy, low-fat recipes and dresses them up with savory herbs and spices. Taking a flexitarian approach to eating, it focuses primarily on grains, fruits, and vegetables, with proteins such as seafood and poultry mixed in sparingly. This diet has been proven to have numerous health benefits, and with these delicious, flavorful dishes, there is no sacrifice in taste! With a helpful section on tips and techniques you’re guaranteed a delectable, yet healthy, dish every time you cook. 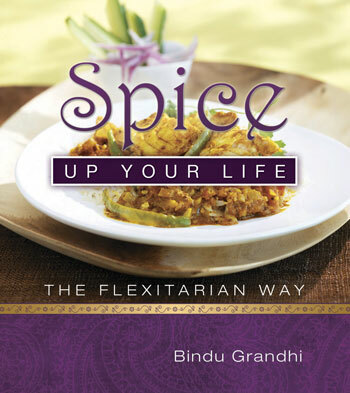 Spice up your Life is what all chefs need to add that little dash of something to their everyday cooking!